There are many great organizations and companies around Vancouver and across Canada that support similar philosophies and strategies as Release the Hounds. Ranging from dog first aid to rescue shelters, Release the Hounds has affiliated with a number of like minded organizations working towards the overall whole wellbeing of dogs everywhere. Dharma Dog provides a full range of services to nurture and enhance your pup’s daily life. We offer a fun, clean, calm and stress-free environment. 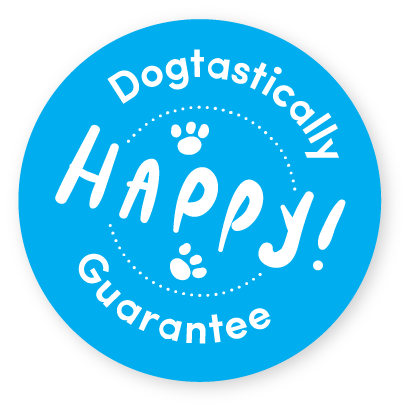 We’re committed to the health and safety of your dog and pride ourselves on exceptional customer care. Whether it be dog grooming or training, we treat your dog like it’s one of our family. Designed by Certified Canine Behaviour Specialist Nik Fabisiak, Dharma Dog Services provides the very best for your best. Walks ‘N’ Wags is the premier provider of canine first aid and safety education for dog owners and dog professionals, in Canada and around the world. Release the Hounds is a sponsor and affiliate with Walks ‘N’ Wags ensuring all of our staff complete the Pet First Aid certification program. Legacy, an organization promoting humane dog training, was founded in 1975 by Terry and Bill Ryan. For decades Legacy’s staff have provided programs designed to nurture mutual understanding and good relationships between dogs and their people. Terry will be coming to Vancouver teaching KPA seminars at Release the Hounds throughout 2012. HomeFinders Animal Rescue Society is a not for profit registered society in BC, working towards helping abused, abandoned and homeless animals in need. The team at HomeFinders sacrifices time and energy taking in and caring for dogs from around the province. Release the Hounds is a strong supporter and advocate for their work. Oak Animal Hospital is one of Vancouver’s top rated animal hospitals. As a testament to their dedication and quality, they have been awarded the Greater Vancouver 2005, 2006, 2007, 2008, 2009 & the 2010 Consumer’s Choice Awards. Release the Hounds is proud to be affiliated and partner with Dr. Ong and her staff at Oak Animal Hospital. Niki Perry is the founder of Release the Hounds and member of our Board of Advisors. The Certification Council for Professional Dog Trainers (CCPDT) maintains standards of professional competence for Dog Trainers.The CCPDT’s program is the first national certification for dog trainers and until its creation in 2001, there was no nationally available certification process for dog trainers.Their methods are based on humane training practices and the latest scientific knowledge related to dog training. Release the Hounds’ Niki Perry is an experienced trainer who is committed to continuing education and professional excellence, certificed by the CCPDT. The APDT is a professional educational organization of trainers who are committed to becoming better trainers through using positive, dog-friendly methods based on sound scientific principles. With over 5,000 members worldwide, the APDT provides professional dog trainers with a respected affiliation. The APDT promotes caring relationships between dog and people and works to increase public awareness of dog-friendly training techniques. The American Veterinary Society of Animal Behavior (AVSAB) is a group of veterinarians and research professionals who share an interest in understanding behavior in animals. Founded in 1976, AVSAB is committed to improving the quality of life of all animals and strengthening the bond between animals and their owners. the AVSAB is an excellent source of information, material and educational opportunities. Modern Dog magazine is your guide to a better bond with your dog. Each issue features the best beds, toys, and more, activities you and your dog will love, health & wellness, expert training and behavioural advice, tips to keep your dog happy, engaged, and mentally stimulated, fave finds and budget buys, photo contests, giveaways, and much more! Published quarterly, Modern Dog is distributed through boutique and big-box pet stores, national news and book sellers, independent newsstands, subscription sales, and rescue & shelter groups.. Thoroughly Reviewed is an independent and non-biased website which hand picks products and services to review. Specifically, ‘The Complete Resource Guide for Dog Owners’ is an excellent source to reference for all your dogs needs.